The "Freebie" tour we talked of last month has been confirmed. We have been invited to view the new Cruise ship terminal which is being constructed to accommodate the increasing number of cruise liners that visit Saint John. 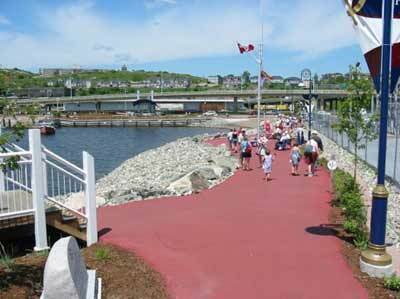 Visitors who like to take a stroll after dinner, or a brisk walk to set you up for a Seafood lunch, will find the Harbour passage a good place to get a breath of sea air in this delightful linear park which follows the shoreline of the harbour. 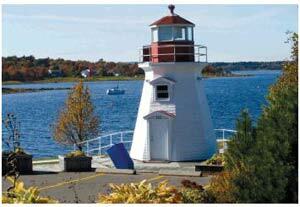 Just click on the link Harbour Passage Pictures to see more details of the beauty. There is still time if you hurry to register before the May 15th deadline and stand a chance of an upgrade suite at no extra cost. So register and book your room at either the Delta or Hilton. Far better odds than the 649! Hello again! 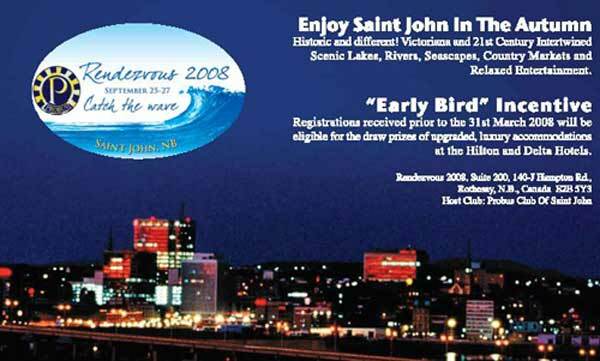 We are now another month closer to Rendezvous 2008 and we hope members of your club are going to "Catch the Wave" in Saint John, New Brunswick this September. 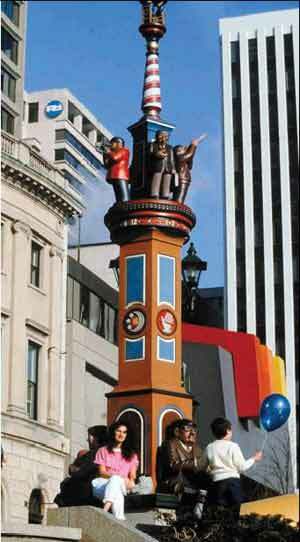 There will be lots to see and do in Canada's Oldest Incorporated City. 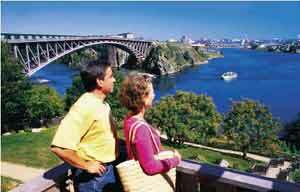 Saint John has become a Cruise Ship Destination with over 80 ships planning visits this year! 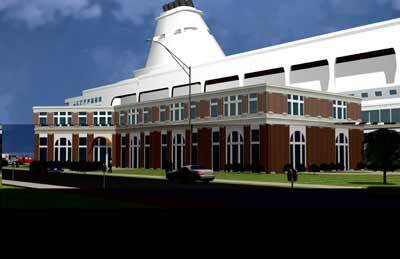 We are pleased to tell you about our new Cruise Ship Welcome Centre (photo file) currently under construction. It will contain an information booth and an interpretive centre focusing on the amazing Bay of Fundy. 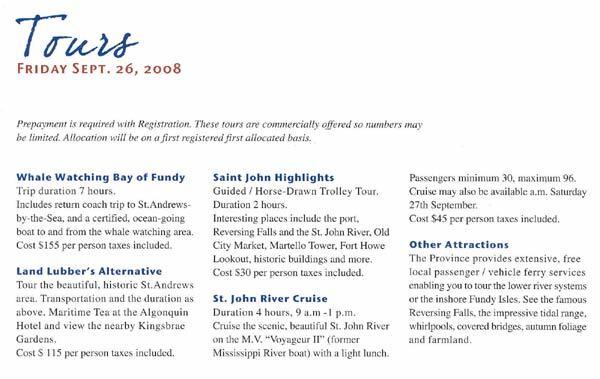 Due for completion this August, the Saint John Port Authority has offered those attending Rendezvous 2008 a free tour of this new facility. It is within a short walk from the Hilton and Delta Hotels. Speaking of walking, you'll also want to travel Harbour Passage, our 'red' brick road on the waterfront right in front of the Hilton Hotel. As our contact for your club, would you please carry this message to your next club meeting? If you need more information on accommodations, activities, brochures, registration forms, travel information, etc., just send us a return e-mail, or visit our website at www.sjprobus.ca. We know a lot of Probus members travel to the sunny south so we have extended the deadline for our Early Bird Draw for the two suite upgrades from March 31st to May 15th. This should allow those returning "snowbirds"( or those who just might have forgotten to mail their forms ) time to get their registration back to us. 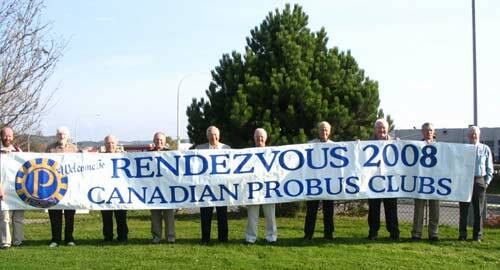 Please note that those attending Rendezvousmust make their room reservations mentioning Probus Rendezvous.2008.. The Hilton and Delta are our host hotels and are connected by an indoor pedway system which includes the Trade and Convention Centre. Special Rendezvous rates have been established at other hotels within easy driving distance of the Trade and Convention Centre where there is extensive indoor parking . These include the Holiday Inn Express, Fort Howe Hotel, the Courtenay Bay Inn, and there is also the newly opened Hampton Inn. The Port of Saint John has offered a free tour of Port Facilities if there is enough interest.You can let us know when registering in Saint John. We have had numerous enquiries from those wishing to extend their stay in the Maritimes either before or after Rendezvous. 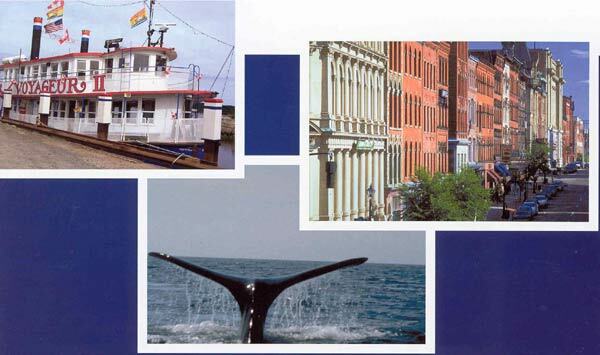 To assist, we have added links to the Departments of Tourism for all three Maritime Provinces where there is a wealth of information on our beautiful part of the country. Both guided tours (B and C) include Reversing Falls, Martello Tower and Fort Howe. The hours have been extended at the request of the national executive. The memories will last a long time but its time for our club to say thank you. On behalf of Co Chairs Bill Brydges and Fred Shillington, we thank all those who traveled from afar to make Rendezvous 2008 the success it was. We, the members of Saint John Probus Club, and the many organizing committees and volunteers, thank you all sincerely for sampling our Maritime hospitality and giving us the opportunity to make new friends. We particularly thank those visitors from Australia who traveled so far to make this truly an International affair. We thank the Directors of Probus Canada for all their help, indulgence and generosity and for giving us the opportunity to stage this event. We thank our brother and sister clubs here in Saint John, in Moncton, Fredericton and Charlottetown for their cooperation and support. We thank our sponsors the Royal Bank and Saint John Rotary Club for their financial support and to the many local businesses that helped us in so many ways. All the reports have been made and a host of information is available to help whoever has the honor to host the next convention. We would like to report that after paying all our bills that virtually all the seed money from Probus Canada will be returned with thanks. To all the committee chairs and members who gave so willingly of their time for more than 24 meetings over the course of two years for "Cheap Coffee", Bill and Fred, thank you, sincerely.